There’s no denying the fact that auto racing is expensive. The combination of bleeding edge technology, composite car materials, and talented drivers lead costs in top flight racing series worldwide to the millions, if not hundreds of millions of dollars. In an era of big data, high technology and unprecedented competition, the amount of money that’s needed to be competitive is even bigger. The Verizon IndyCar series is no exception. In the heady days of the 1980s and 1990s, IndyCar had a huge broadcast TV contract, the sponsorship money was plentiful and the competition particularly healthy. Automotive sponsorships paired with tobacco companies, tire companies, and money from engine manufacturers from Honda to Ford to Mercedes-Benz, left plenty of funding for 26 to 28 cars to appear for every race on the IndyCar circuit and a count closer to 40 or 45 cars for the crown jewel Indianapolis 500. Yes, even the Church of Scientology sponsored a car! But the glory days came to a grinding halt when two major events conspired together at about the same time. 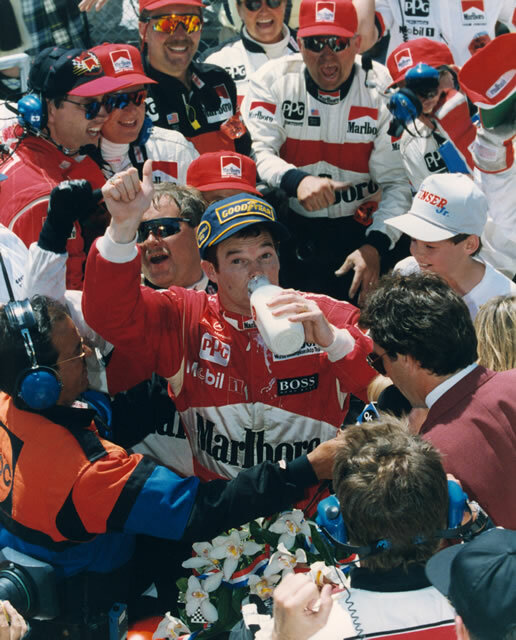 The first was when additional regulation on tobacco marketing started to grow in the United States in 1996 and eliminated a large amount of funding for racing teams in all major US motorsports. The second – an extended period of internal strife within open-wheel racing teams and owners that split the teams into two rival series and diluted an already tenuous sponsorship money pool. Meanwhile, NASCAR took the lead in overall reach, consumer awareness and ultimately sponsorship dollars, leaving IndyCar teams and drivers to get creative with where to get their funding. These days, fortunately, there are signs of life in the IndyCar Series. After years of decline, the last few Indy 500s have had spectacular finishes, the series has returned to racetracks from the 1990s including Phoenix and Road America, and this year marks the 100th Indianapolis 500. The race, a milestone that has come with welcome improvements to the Indianapolis Motor Speedway, has resulted in the first sellout of tickets in 20 years. Even an unexpected cancellation in Boston has resulted in a highlight – the return of racing at Watkins Glen, New York. This has resulted in a new groundswell of interest from sponsors who are trying to reach niche audiences, and some new looks for some classic teams and drivers. Here’s a look at some of the more unique approaches teams have taken to take advantage of sponsorship dollars. Faced with the loss of a $12 million sponsorship package from the National Guard at the end of the 2014 season, the team, co-owned by 1986 Indianapolis 500 winner Bobby Rahal, race promoter and businessman Michael Lanigan, and retired talk show host David Letterman (yes, that David Letterman) had to get creative to piece together their full-year funding. And it all started with their hearts (and stomachs). The race team noted how founder Bobby Rahal and his son, driver Graham Rahal, are fans of Steak ‘n Shake. How the team is locally based, just like Steak ‘n Shake. And how co-owner David Letterman is a virtual animated billboard for steakburgers. Graham Rahal climbing into his #15 Steak ‘N Shake Honda during Indianapolis 500 practice. Being fans of Steak ‘n Shake, made Steak ‘n Shake fans of them. It turned into a $1 million sponsorship from a company that hadn’t set aside any money aside for sponsorship. The company renewed for 2016, making sure that driver Graham Rahal would be wearing the distinctive Shake ‘n Shake apron in the cockpit for the 100th Indy 500. And, yes, Graham even got his own milkshake. This year, the team has also added Hyatt, Fifth Third Bank and even revived a classic name in racing – Theodore Racing – as more more diverse sponsorship links. 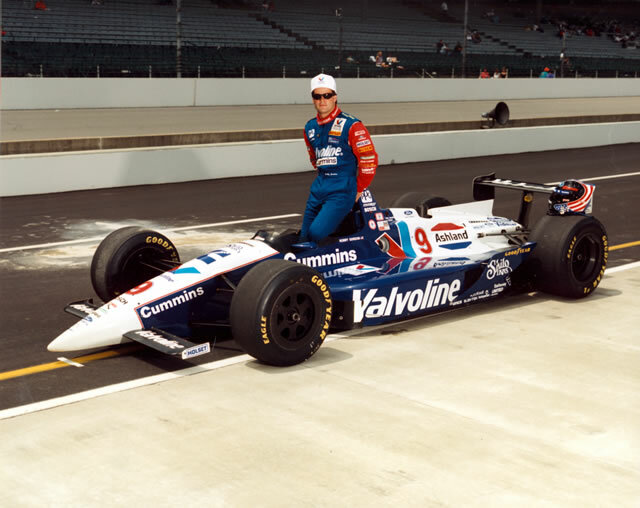 Owned by Michael Andretti, IndyCar champion, and son of 1969 winner and racing legend Mario Andretti, Andretti Autosport has long been one of the top teams in IndyCar. Their primary sponsors include DHL and Snapple, and like most teams, they have a deep bench of secondary sponsors. But, turkey? Yes. The Butterball company is the largest producer of turkey products in the United States. And in an expanded partnership in 2016, the Butterball logo will appear on the #27 car of Michael’s son, Marco and the #28 car of 2014 Indianapolis 500 winner Ryan Hunter-Reay during the run up to 100th Indianapolis 500. This arrangement surely gives a whole new meaning to “talkin’ turkey”! Marco Andretti lapping during Indianapolis 500 practice. Note the Butterball logo by his head. Other unique tie-ins for the team are a partnership with hhgregg department stores, who will appear prominently on Marco’s car, a California Pizza Kitchen sponsorship for Indy 500 only driver Townsend Bell, and the re-ignition of a partnership with United Fiber and Data, a company founded by some of the members of 1990s alternative supergroup Live. Even legendary Team Penske, run by racing icon Roger Penske, has announced a compelling partnership this year. Hit by the loss of Marlboro sponsorship in 2010, the team has been recently bolstered by a deal with Verizon Wireless. But having 4 full-time cars means the sponsorship pool has to be deep, even for “The Captain”. This year team is celebrating it’s 50th anniversary, and has brought back a familiar name by announcing that Menards would sponsor Simon Pagenaud’s car for both IndyCar races at Indianapolis, the 500, of course, but also the Angie’s List Grand Prix of Indianapolis. And with it, returns a day-glo yellow paint scheme that can be seen, well, from anywhere, and is familiar to fans of mid-1990s IndyCar Racing. John Menard started his IndyCar odyssey in 1979, and while his eponymous team won the Indy 500 pole position three times, and nearly won races with Tony Stewart, Robby Gordon, and Al Unser, it never ascended to the top step of the podium at Indianapolis. So it was with some surprise that former rivals Penske and Menard announced the link up, and Menard’s first return to IndyCar in nearly 13 years. The partnership got off to a great start, with Pagenaud winning the Angie’s List Grand Prix of Indianapolis marking John Menard’s first Indy victory in more than 30 years of trying. The throwbacks don’t stop there – the 2016 500 also brings back one of the classic paint jobs in racing history – the so-called Pennzoil sponsored “Yellow Submarine” to be piloted by 3-time Indy 500 winner and Dancing With the Stars champion Helio Castroneves. The undeniable need to fund an IndyCar team leads to the development countless unique relationships between teams, sponsors, drivers and media. That leads for more opportunities for the sport to grow back to a wider audience, and to help ensure the long term success of the IndyCar series and the sporting tradition that is the Indianapolis 500. The sponsorship staff at IndyCar teams are often some of the most unsung heroes, and they always work hard to make sure cars stay on the track – even when it means thinking outside the box.